Talking to strangers about your feelings and opening up to them is the easiest thing in the world. Perhaps because there are no repercussions intact. The entire process of speaking about what’s on your mind becomes a lot easier. However, everything doesn’t always have to fall at the non-witty end. 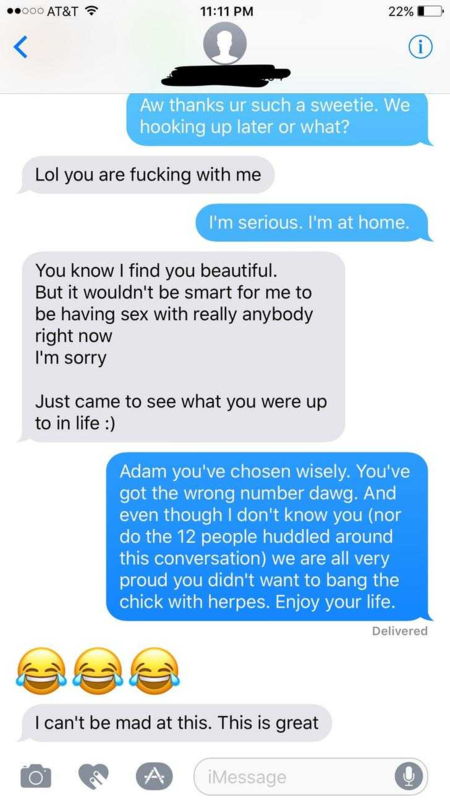 For instance, this guy named Adam texted someone who was definitely not his ex-girlfriend. 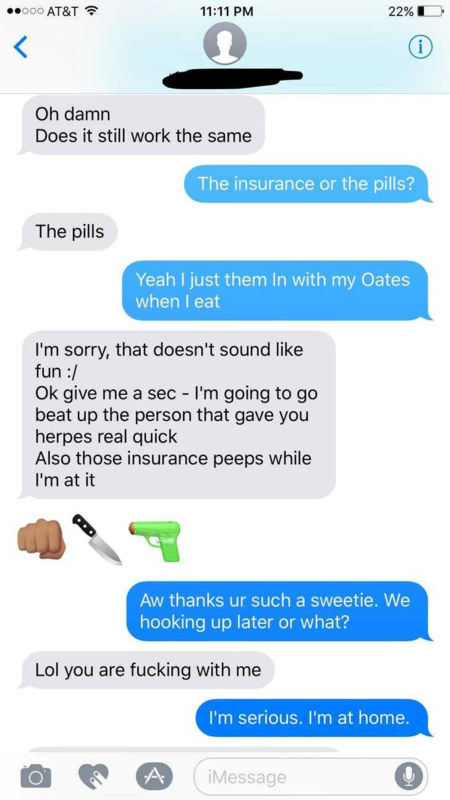 But then again, why would you text your ex-girlfriend? If you’ve moved on from the past, there’s no need to include even a hint of it in the present or future. Although, something else was going through Adam’s mind. And as a consequence, it ended on a very embarrassing note, after a very close call. 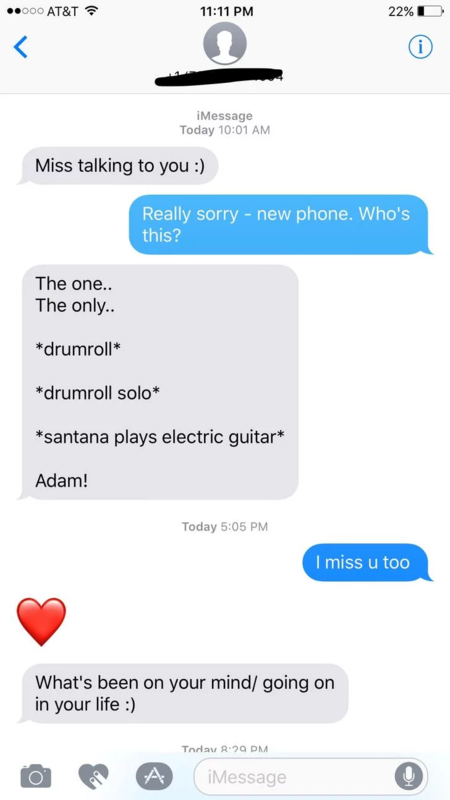 Adam hadn’t spoken to his ex-girlfriend in a while, so it took him a while to figure out that it wasn’t his girlfriend at the other end of the phone. And when I say a while, it really did take him a while. He was being trolled by a stranger who had nothing better to do. Poor Adam failed to recognize the trap he had fallen into. 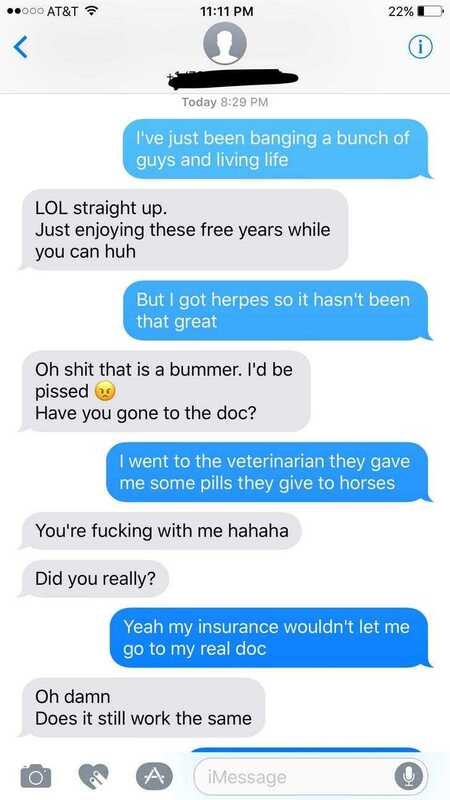 But, herpes played a huge role in helping him make a wise decision. Moral of the story, don’t ever try to get in touch with your ex-girlfriend. What would you have done if you were in such a situation? Let us know in the comments below.